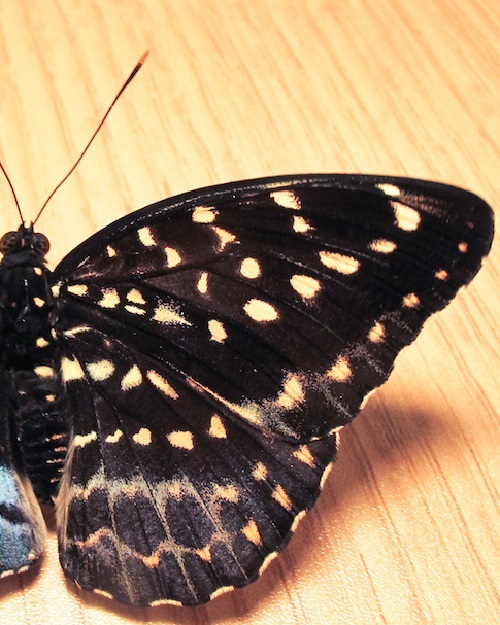 The name of this beautiful butterfly is Lexias pardalis. And it is the part of butterfly exhibition at the Academy of Natural Sciences of Drexel University. By the way, it was Chris Johnson, a retired chemical engineer from Swarthmore (Pennsylvania) who noticed the truly unique butterfly. Thus, volunteering at the exhibit, he stumbled across the unusual sight. Johnson noticed that the insect’s two right wings were typical of the females of its species. In particular, they were larger, and had brown with yellow and white spots. However, its two left wings were smaller and darker. In addition, with splashes of green, blue and purple, a pattern characteristic of males. According to Johnson, first he thought that somebody was fooling with him. “It’s just too perfect,” said he in a statement. “Then I got goose bumps.” He spotted the creature while emptying out the butterfly exhibit’s pupa chamber. There the insects hatch from their chrysalises and cocoons. “It slowly opened up, and the wings were so dramatically different, it was immediately apparent what it was,” he said. So, Johnson and his supervisor and exhibit coordinator David Schloss, isolated the butterfly, and contacted Entomology Collection Manager Jason Weintraub. As a result, butterfly expert later confirmed that the remarkable insect was a Common Archduke butterfly (Lexias pardalis). Also, its rare condition – gynandromorphy means outwardly having both male and female characteristics. however, it is not hermaphroditism, in which an organism has both male and female reproductive organs, but has external characteristics of one gender. The found butterfly is a member of a species belonging the family Nymphalidae, commonly known as “brush-footed” butterflies. In fact, it lives in tropical rain forests of Southeast Asia. 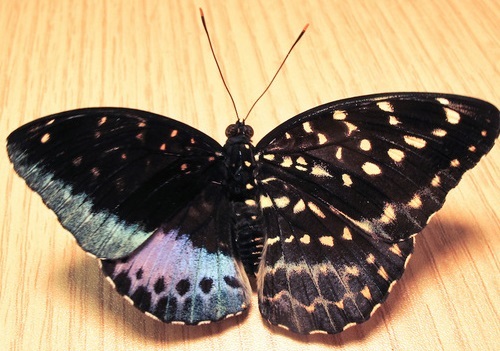 Indeed, this very butterfly was originally from Penang Island in Malaysia, shipped in a group of pupas in October 2014. Noteworthy, differences between the males and females of any species result from a process called sexual selection. And in which one gender (usually females) select mates of the other gender based on the presence of certain traits. The traits that passed from generation to generation over thousands of years. 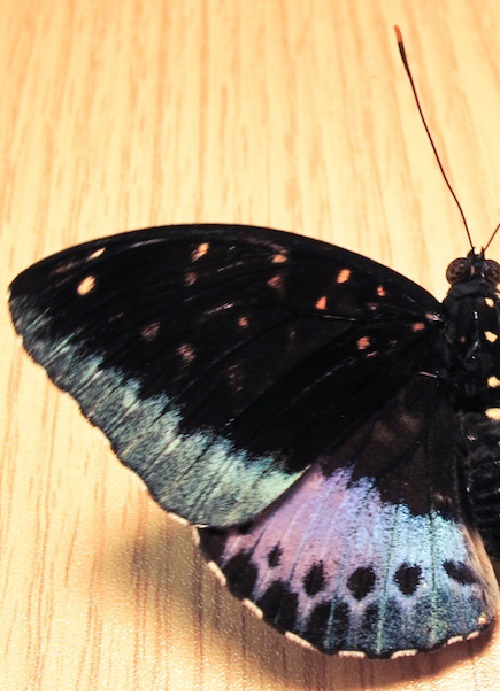 By the way, preserved and pinned rare butterfly will be on display at the Academy of Natural Sciences of Drexel University for visitors to see from Jan. 17 through Feb. 16.